Could the cast of Edgar Wright’s Ant-Man get any better at this point? 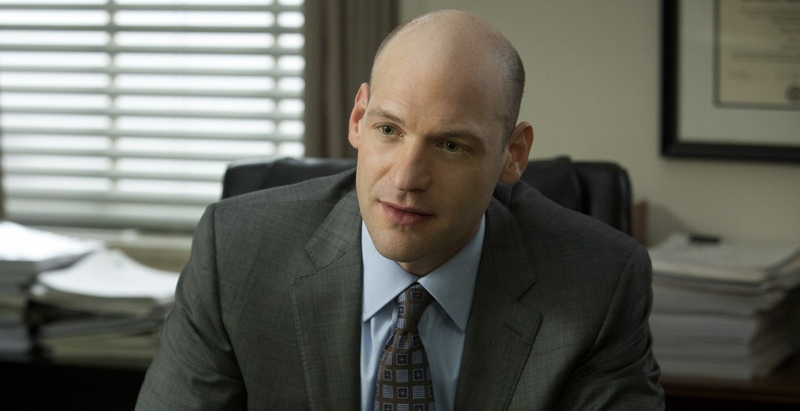 Well, it appears as if the answer is a resounding “YES!” as House of Cards and Non-Stop star Corey Stoll is in early talks. Unfortunately, his role is currently being kept a secret (this is Marvel we’re talking about after all), but we do know that he’ll join Paul Rudd as Scott Lang and Michael Douglas as Hank Pym. Evangeline Lilly has also been confirmed as starring (presumably as The Wasp) while Patrick Wilson and Michael Pena are still in talks for – you guessed it! – undisclosed roles in the Marvel movie. Stoll will next be seen in Shawn Levy’s This Is Where I Leave You, along with Guillermo del Toro’s FX series The Strain. Who he’ll play in Ant-Man is anyone’s guess right now, but here’s hoping his character has an easier time of it than poor old Peter Russo from House of Cards, eh? Edgar Wright is directing Ant-Man from a script he wrote with Attack the Block’s Joe Cornish. The movie is currently set to be released on July 31st, 2015.